Replicate - Discard two cards from hand. 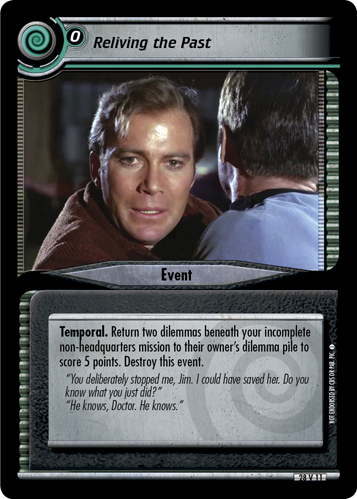 (You may discard two cards from hand when you play this event. If you do, put this event in your hand instead of destroying it.) Temporal. 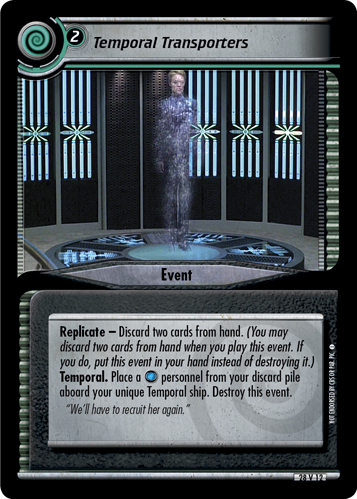 Place a personnel from your discard pile aboard your unique Temporal ship. Destroy this event. "We'll have to recruit her again."